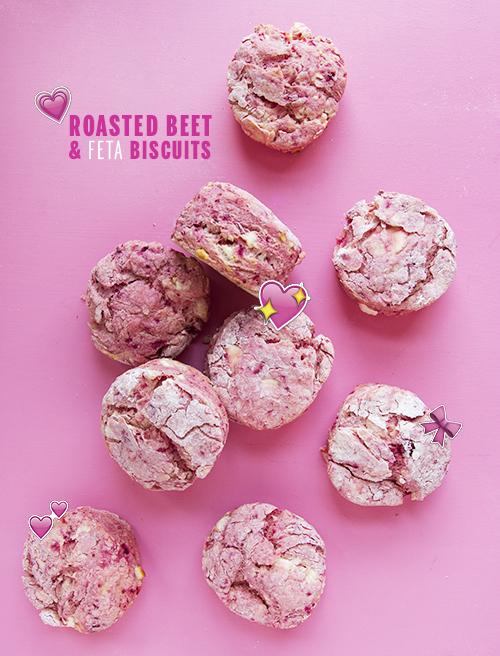 Biscuits couldn’t get much easier than heavy cream and self-rising flour… So I complicated it by roasting a beet and making them pink. I’d like to thank my new BFF, my AC window unit, making the the whole roasting and baking thing doable. 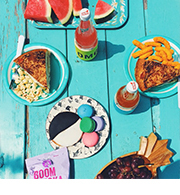 So live your life in a world with pink biscuits and feta polka dots and cute breakfast. Preheat oven to 425F. Line baking sheets with parchment paper. Puree the heavy cream and beet(s) together in a food processor. Add to flour in a medium bowl. Stir in feta. Stir together. Pour dough onto a floured surface and knead a couple times until dough comes together. Pat until 3/4 inch tall. Cut out using a 2″ biscuit cutter. Transfer to prepared baking sheets. Bake for 15-18 minutes or until golden brown. 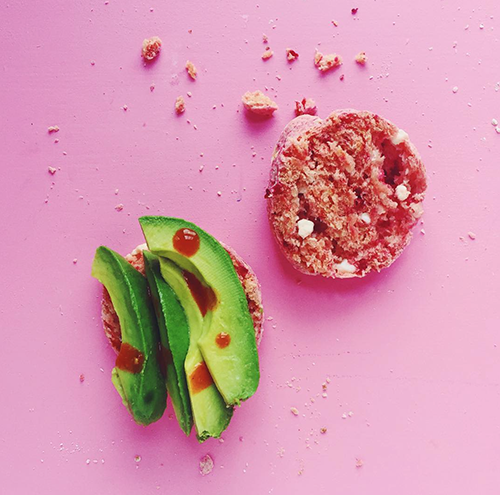 Eat with avocado or eggs or on their own! Use these biscuits for sandwiches, would ya?! 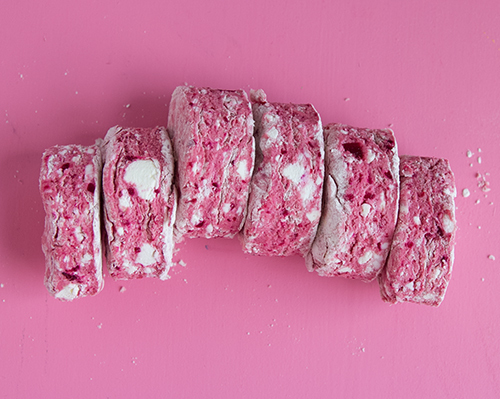 Those are some cute, pink biscuits with feta polka dots! And, I bet you feel #blessed to have that window unit. These are so pretty even an avowed beet hater like myself is ready to turn on my oven and get roasting! 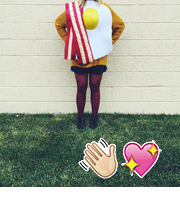 Seriously adorable. And so fluffy! I love my A/C unit. I’ve come close to asking it to marry me in the throes of one of our long summers here in Australia. Now, biscuit baking is a year long pleasure. These are awesome – and I need to look into that window ac unit thingy. LA has been MISERABLE lately! These are totally sending me over the edge, but it’s a good edge! I feel like if I like in a pink house, I need pink biscuits, right??? I love feta, but the idea of feta, in a biscuit, hot out of the oven…No, it just seems wrong to me, but that’s just my opinion. 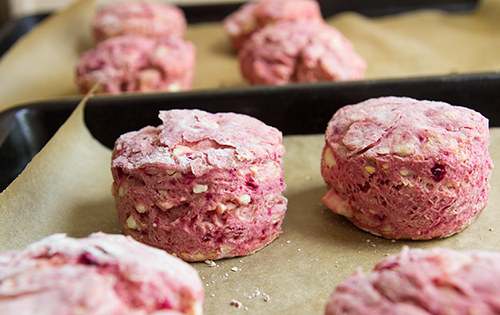 However those nice pink biscuits are just calling to me — omit the feta, add 1/4 to 1/3 cup sugar, some dried cherries or raisins, some kind of chopped nuts, and you have just made a valentine scone. Or biscuits for a little girl’s tea party.